Located in the northern section of the Massanutten Range, Fort Valley is 25 miles long and was formed by the flow of passage creek. Sometimes called a "valley within a valley" it is part of the Shenandoah Valley and lies within the jursidiction of Shenandoah County. 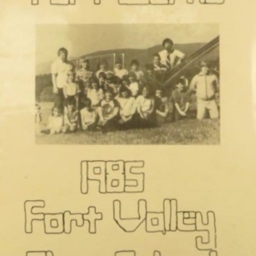 Depite its ties with the county, Fort Valley's geographic isolation helped its residence develop a unique community identity. This exhibit attempts to define a portion of that community by bringing unique items from the area's past to you. Be sure to visit now and on a regular basis as we add new images that will help tell Fort Valley's story.